Do you have the habit of reading? If not, you have to develop this habit. You have to inculcate this practice even in students. Many studies reveal that reading makes a lot of difference in a child’s life as well as his academic performance. We all have heard people saying that it is very important to develop the habit of reading. We pass on this information to our kids too. Do you all know why reading is important? Do you think that reading is going to create any difference in your life? In this article, we will find the answers to this question. Below-mentioned are some of the most prominent benefits of reading. Helps to Develop Communication Skills: Some people find it very difficult to communicate with others. People often recommend reading and writing to overcome this problem. Reading helps to understand the different words and their meanings better. People can easily develop their vocabulary through reading. With a good vocabulary and a strong command over the language will further help them to enhance their communication skills. Gives In-depth Knowledge: Reading gives both the kids and the adults a wide information on a number of topics. There is absolutely no better way to learn different languages and subjects. People will also understand the values of life which are considered essential to have a peaceful life. They will also get access to many inspirational works. Develops Imagination and Creativity: Reading is one of the nest methods to develop the imagination and creativity in kids. Reading invokes curiosity in them. This will improve their creativity and helps to carry forward their imagination to a wider realm. For Reducing Stress: When we read a book, our body and mind will become more relaxed. This is an effective method to reduce the stress. While reading, people tend to forget about all their worries and enter into an imaginary world described in the books. 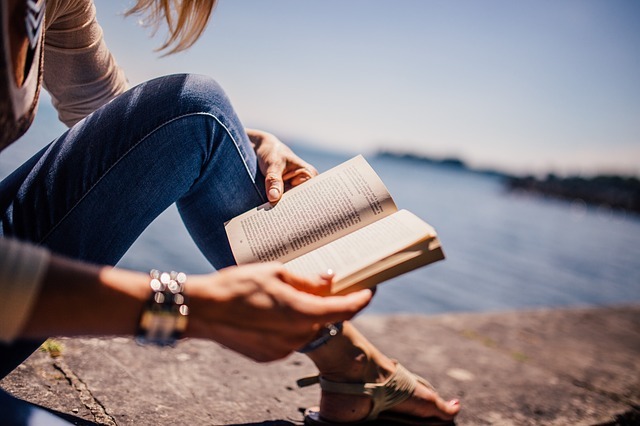 As it doesn’t require any physical activity to read a book, it calms both the body and mind. Helps to Develop Ideas: Where do you think people get new ideas from? It is definitely through reading a lot of books. People who spend a lot of time reading will have more knowledge about a topic and hence, will be able to form better ideas and innovations in their professional life. If you do not take any effort to read any additional resources, you will not have any information on the latest developments in a field. As a result, you will never be able to step ahead in your life because of the fear of embarrassment. Enhances the Memory Capacity: What better way to improve our memory capacity than with reading? When we concentrate on a book, its contents get etched in our memory. Thus, we will be able to recollect the important point in the book as and when required. We will also take more time to ponder over the things that have been mentioned in the books. Hence, it improves our thinking abilities too. Watching movies and listening to the radio instead of reading may not provide the same benefits in our life. Reading – As a Form of Entertainment: It is not always necessary to read for academic purpose. A large number of books with stories and novels are available in the bookstores and libraries. Reading them will keep you entertained. Rather than engaging in fruitless habits, it is always better to take time and effort to read these books. Creates Empathy: Empathy is more important than sympathy. You need to understand people before judging them. Reading helps to create an understanding about the feelings and emotions of other people. While reading stories, biographies or novels, you will come across a lot of incidents which will make you think about similar situations in your life. Hence, you will get to have a different perspective and understand the situations better. Improves Writing Skills: Reading helps to improve vocabulary. With enhanced vocabulary, you will be able to improve your writing skills. While reading, you will come across a lot of writing styles and patterns. Knowing them will benefit you both in your personal and professional lives. Improves Concentration: Many studies reveal that reading is one of the best methods to improve concentration in people. Thus, it is always good to take some time to read before doing a work. This will help to improve efficiency and productivity. Hence, reading is important in everyone’s life. Without reading, you will become more ignorant. To know about the recent developments happening in and around the world, it is necessary to spend a few hours to read. People who read will be more confident to speak before an audience. It also imparts more wisdom and knowledge in people.